31 August to 11 September. Year Unknown. 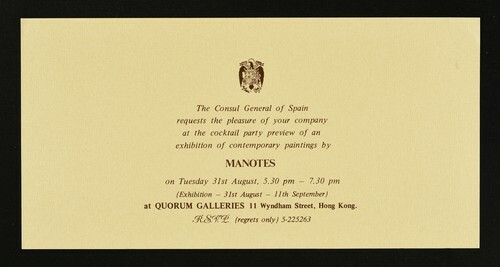 An Exhibition of Contemporary Paintings by Manotes at Quorum Galleries, year unknown.